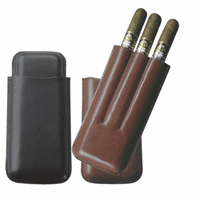 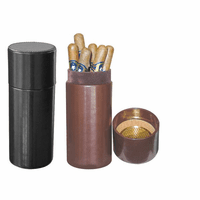 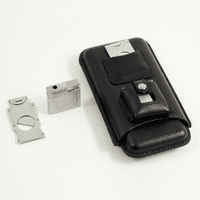 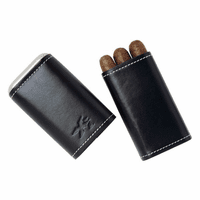 Give this 3-cigar holder to the groomsmen, your golf buddies, Dad, family and friends, so they can enjoy a fine cigar after dinner or for special occasions with you! 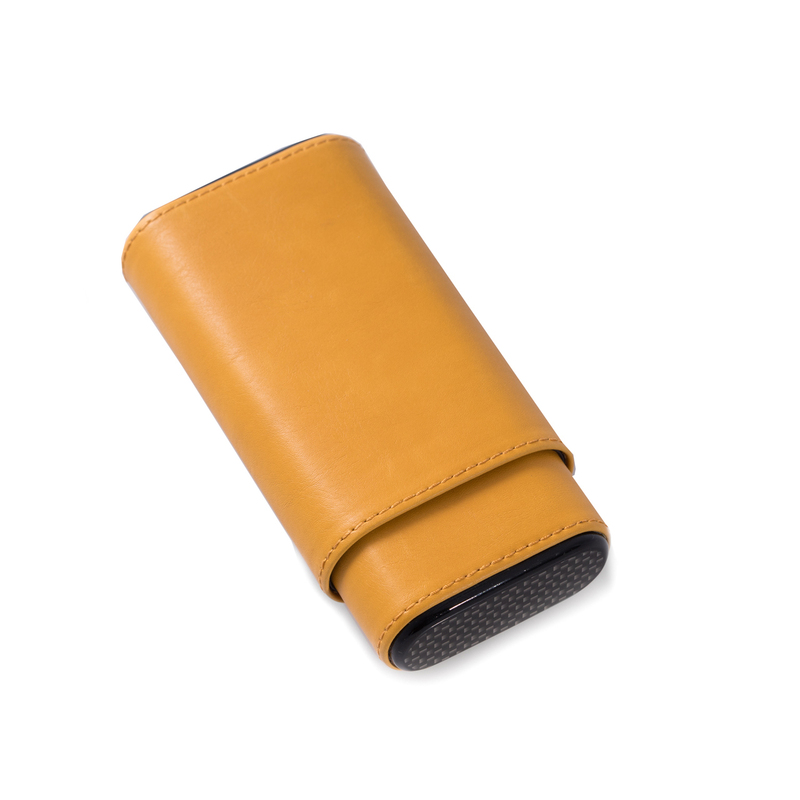 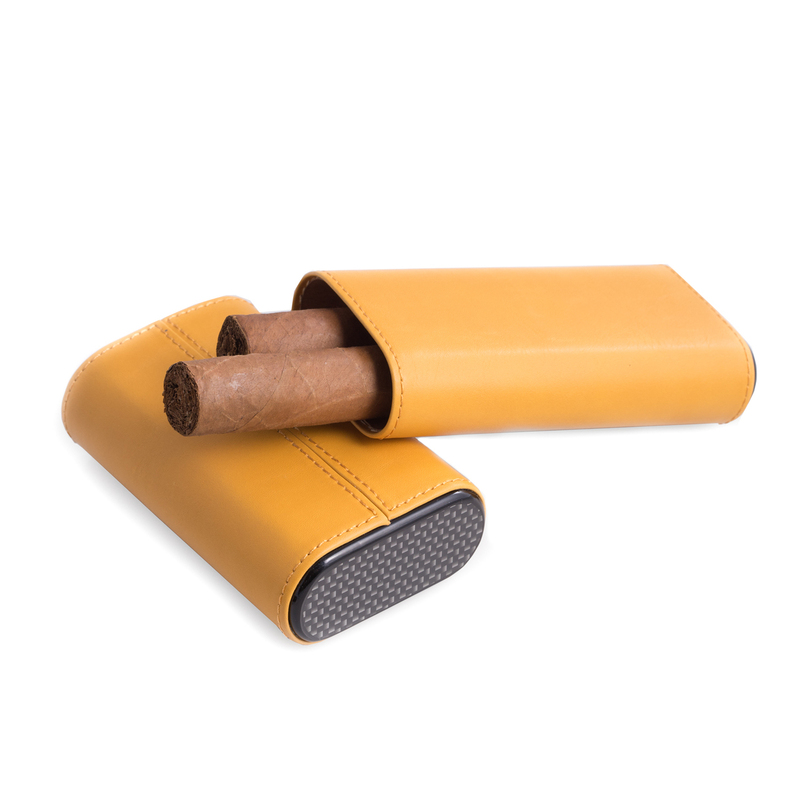 The cigar holder is made in black carbon fiber and yellow leather, with a cedar lining and telescoping opening for easy access. It measures 5.75" x 3" x 1.25", so it can be taken along on business trips, weekends away, to work or social activities, keeping your favorite cigars in perfect condition to enjoy whenever you like! Dimensions: 5.75" x 3" x 1.25"